It was my first day of school in a small, country town in Canada. I was five years old and it was lunch-time, which would later become my favorite part of the day. All the children were excited to see what their parents had prepared for them, and what sugary treats might be enclosed. I can vividly remember my classmates placing their brightly coloured Sesame Street and Flintstones’ lunch boxes on their desks. I, on the other hand, pulled out a plain, brown paper bag. Then all the other kids opened the lids to reveal neatly wrapped sandwiches, cut into tiny, perfectly shaped rectangles. I opened my brown bag and pulled out, not one, but two man-sized sandwiches, uncut, with the crust still on! Before taking on the monumental task of eating my lunch, I jealously watched the other kids explore their cute, Tupperware containers. I was surrounded by teddy bear cookies and star shaped watermelon pieces – with the seeds removed. In my bag I found a whole packet of large chocolate chip cookies and two, large, unpeeled apples. I started to think that maybe my father had switched our lunches by accident and had given me his food for a 12 hour shift at the steel factory. That thought was dispelled when the same meal was provided for me the very next day. And the day after that. And the day after that. 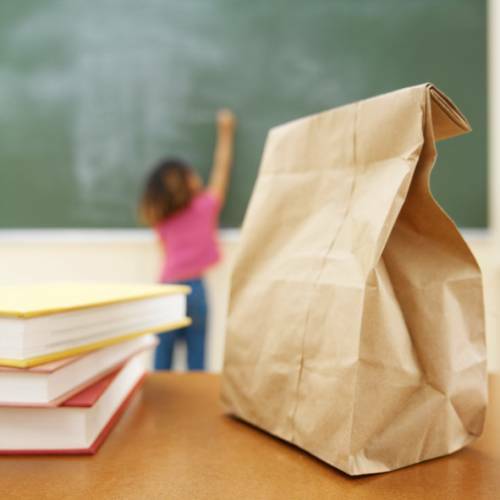 I did not want to hurt my father’s feelings by telling him that he provided far too much food for my small, Kindergarten frame, or break it to him that no one at school had lunches like mine, so I kept my disappointment a secret. Being a single parent he tried to take on both parental roles in the house. For the most part he did a fantastic job. However, there were times when he made mistakes as any parent does; like sending me to school with my dress on backwards, or with lop-sided ponytails sticking out of my head, or giving me chocolate cake for breakfast. Actually, how could cake for breakfast possibly be considered a mistake! Despite these little hiccups, Dad was always there for me. He made sure he attended every school concert, play and parent-teacher evening. He was the only father who volunteered to read with the children at reading time and would happily attend school outings to museums. My dad encouraged me to pursue everything I wanted. He made me feel that I could achieve anything I dreamed of in life. With his guidance and with the help from his babysitting brothers, I learned to understand men. I learned skills that most girls missed out on. For instance, I was the only teenage girl at school who knew how to change the oil and spark plugs in her car. I learned to catch snakes, kick a ball with precision and, of course, learned how to drive much earlier than any girl I knew. I believe that families are diverse. Every family has a different set of morals, values and traditions. Family really is where the heart is, not just what we expect a family should look like as depicted in a magazine photograph. I live far from the small Canadian town I grew up in, but I still happily go home to spend time with my Dad as often as I can and our bond remains stronger than ever. Looking back now, I realise that those unique packed-lunches taught me a lot about life. I learned to be polite and appreciative of people and what they do for us. I learned not to worry about what others think and to be confident in my own individuality. By the second term of school, I would proudly eat my man-sized sandwiches because I knew they were made with love. 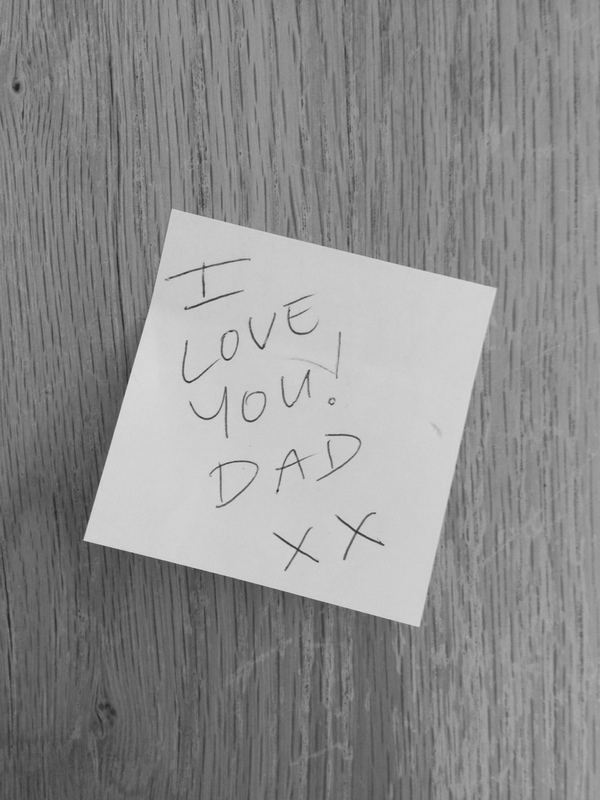 This was reinforced every day when I found the note at the bottom of my lunch bag, scrawled in messy handwriting, with hearts drawn around it followed by a simple message….